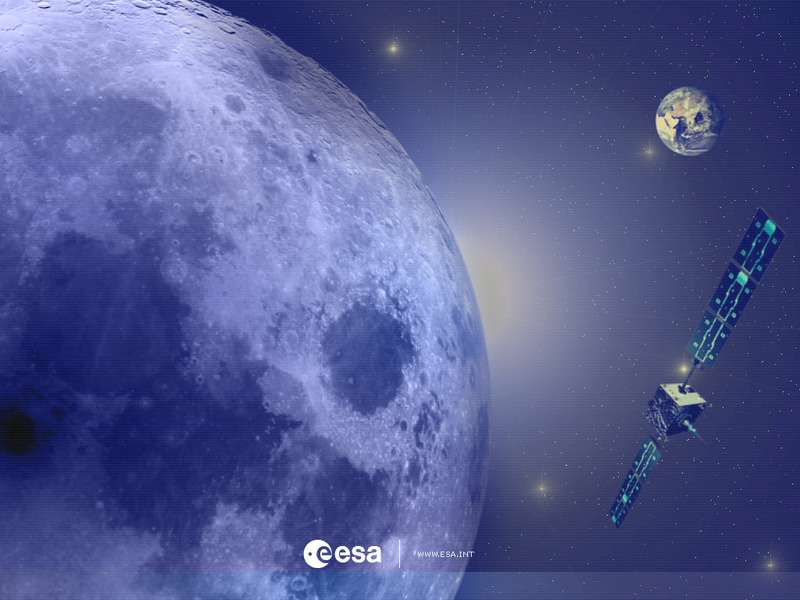 Owing to SMART-1’s high resolution and favourable illumination conditions during the satellite’s scientific operations, data from Europe’s lunar orbiter is helping put together a story linking geological and volcanic activity on the Moon. The combination of high-resolution data from SMART-1’s AMIE micro-camera and data from the US Clementine mission is helping scientists determine the tectonics of the Moon’s giant basins and the history of volcanic flooding of mid-sized craters, inside and around the lunar basins. The study provides new information on the thermal and tectonic history of the Moon and the processes following the formation of the large basins. There are approximately 50 recognizable lunar basins more than 300 km in diameter. They are believed to be created by the impact of asteroids or comets during the Lunar Late Heavy Bombardment period, 350-750 million years after the formation of the Moon. Some of these basins (mostly on the near side) were then filled in by lava originating from volcanic activity. Combining information from SMART-1 and Clementine makes it possible to assess the link between fine geological structures, identified for the first time with AMIE’s high resolution, and the chemical composition of the study area. The Humorum basin is an ‘ideal’, circular, compact and moderately thick basin that was created by a simple impact event, showing a thin crust and mass concentration within a small area (from Clementine topography and gravity data). The Procellarum basin, or Oceanus Procellarum, is a large, extended, complex basin that is moderately thick and shows no mass concentration. It may have been formed by faulting associated with the formation of the adjacent Imbrium crater (3.84 thousand million years ago), rather than by a ‘gargantuan’ impact. The Humorum basin shows concentric graben, or elongated, trench-like erosional features around the edge of the basin. These are formed as the crust is deformed due to the presence of a mascon (mass concentration or ‘local overweight’). For the first time, strike-slip faults have been observed with SMART-1 in the Humorum basin. These are faults where the rupture is vertical and one side slides past the other. An example is the San Andreas fault along the western United States. However, there is no multi-plate tectonic activity on the Moon. Procellarum is an extended basin, where the crust is thin enough to allow magma to arise from under the surface, 4 to 2 thousand million years ago. SMART-1 images do not show geological faults, or surfaces where the rock ruptures due to differential movement, in the Procellarum basin. Procellarum shows wrinkle ridges that are not distributed radially around the basin. Due to their location, they do not seem associated with mascon tectonics, but are mostly results of thermal and mechanical deformation resulting from volcanic activity - basalt extruded by the lava causes compression in the area. The Procellarum basin contains the youngest basalt found on the Moon so far, up to 2 thousand million years old. Different ‘pulses’ of volcanic activity in lunar history created units of lava on the surface. The flooding of mid-sized craters with lava due to volcanic activity in the region is reflected in the mineralogical map. Differences in the mineralogical composition provide a tool to study the geological history of the region. Flooded as well as unflooded craters are found in the region, reflecting the evolution of volcanic activity with time. “This analysis shows the potential of the AMIE camera”, says Jean-Luc Josset, Principal Investigator for the AMIE camera, “and we are still analysing other datasets that make use of the varying illumination conditions during the operation of SMART-1 over one and half years”. The results reflected in the article appear in ‘Coupling between impacts and lunar volcanism for Humorum and Procellarum basins’ by S. Peters, B. Foing, D. Koschny, A. Rossi and the SMART-1 AMIE team, presented at the European Planetary Science Congress on 22 August 2007. Stefan Peters performed this work while he was a trainee at the Research and Scientific Support Department at ESA’s European Space Research and Technology Centre.